Virtual desktop infrastructure (VDI) has been around for many years but has become increasingly popular in recent times. One of the main drawbacks that kept organizations from adopting VDI in the past has been costly. However, today it is much more affordable to adopt VDI. What’s more desktop virtualization can help organizations to cut operational costs. In this article, we’ll be looking at ways that VDI can help your organization reduce expenditure. The BYOD trend is more popular than ever today. In the traditional office setting, management has to provide devices for everyone in an organization so that they can access the files and apps they need to work via a secure platform. But this meant spending a lot of money – not just to acquire the devices but to maintain and upgrade them when they become obsolete. VDI makes all of this redundant. The fact that you can get access to your work desktop from any device without compromising on security is revolutionary. After all, everyone has a device today. By allowing workers to bring their devices to work, organizations do not only get to save money, but also workers can be more productive since they do not have to spend time getting used to their new work computer. There is also the added advantage that workers can pick up and do their job at any time and any place. Thanks to the internet, it is easier than ever to outsource work to remote workers. If you are considering hiring remote workers, security is one of the things that may cross your mind. In the past, some organizations solved these issues by purchasing devices, setting them up, and mailing them to their remote employees. Imagine you hire a person on another continent. Not only would you have to pay a steep mailing fee, but a lot of time would be wasted in the whole process. With VDI, outsourcing is a straightforward process. You can have your remote workers access your company’s virtual desktop with any device. The best part is that this wouldn’t create any security loopholes and you can determine the level of access that each person has on your VDI platform. With easier outsourcing, your organization can be more efficient and therefore more productive. Another way that VDI can help organizations cut costs is by reducing your IT staff working hours. Usually, IT workers do not have to only maintain your server but also every device in your workplace. This involves setting them up, keeping them updated, dealing with hardware issues, and much more. This may mean you need a large IT department (depending on the size of your organization), and keep them well paid. VDI eliminates the need for all of this. No doubt you’d still need a good IT team. 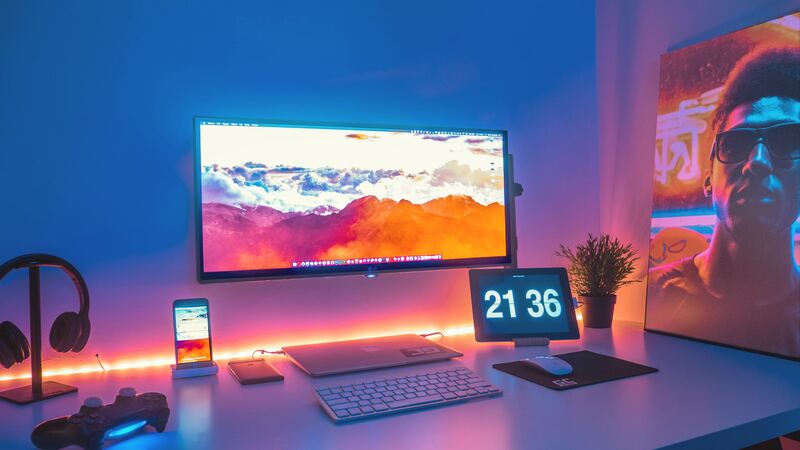 However, the team can be much smaller, and their job would mainly be to maintain your data center and troubleshoot any potential issues that your workers may encounter while connecting to the virtual desktop. 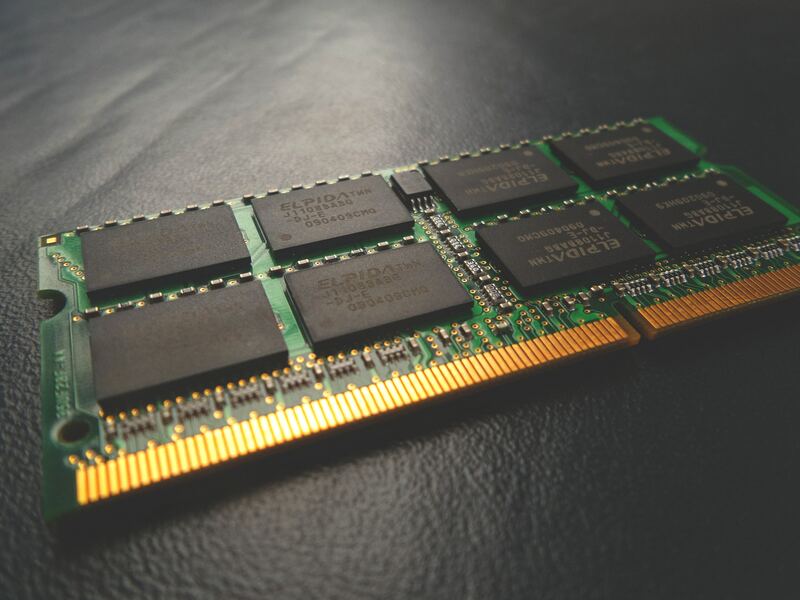 All the necessary updates can be done right from the main computer in the data center, and it will apply to all the virtual desktops on the server. You may be surprised to know that opting for VDI can reduce your organization’s power consumption and thereby allow you to save money. This is a hotly debated subject, so it helps if we look at a scenario. If you have an organization with 100 computers that are connected to the internet, each one of them will require electricity to function as well as run your internet infrastructure and even your internal server. However, if you adopt VDI, you do not need physical computers stationed at your office. Hypothetically, if you adopt the BYOD strategy, of course, your workers will still need to connect their computers to a power source while they are at work. Still, there will be several hours daily (maybe even up to 12 hours or more) where your power consumption will be drastically reduced, and this translates to a lower electricity bill. Now, the main thing that will consume power if you migrate to VDI is your server. This is a necessity. But there are ways to even avoid that. By hosting your virtual desktop on the cloud, you can reduce your company’s power consumption to the lowest level. Every year, companies spend thousands of dollars on data management and security. If your organization is looking to cut cost on data management and security, VDI is the way to go. Instead of maintaining a massive data center and a lot of drives and other hardware which do not only take space but consume power, you can move to VDI and host your server in the cloud. A virtual desktop system will not only make your work more flexible but also reduce costs and provide better security for your data. You do not have to deal with lost or corrupted files anymore. What’s more, your workers will have no accessibility issues. VDI does not only protect your organization from losing data but also prevents unauthorized access. With all your data in one place, it is easier to set up the best security protocols and avoid any hacking. Also, if you choose to host your server on the cloud, hardware damage would have no effect on your data. This is the ultimate security. What’s more, you can even rely on tools like FileCloud to provide an extra layer of security for your files like encryption, ransomware protection, two-factor authentication (2FA), and more. Every organization wants to cut costs, and as you can see from the points highlighted above, VDI can go a long way to help lower expenditure. There are many other ways that VDI can allow companies to save money. Just about every organization can benefit from VDI, and if you are thinking of going virtual, FileCloud is a good option. We are the number one file platform for VDI. We provide all the tools that you need to make the most of your virtual desktop. Virtual desktop infrastructure (VDI) is undoubtedly part of the next wave in business technology. It has the potential to transform how we work and boost productivity tremendously. While many companies have already adopted VDI, it is still new to some people. If you just started exploring VDI for your business, one question that may come to mind is ‘what is the difference between VDI and cloud storage platforms?’ This is an important question as knowing the similarities and differences between VDI and cloud storage platforms would allow you to appreciate the perks of desktop virtualization. Before we go any further, it is crucial that we have a working definition of VDI. As you can probably guess from the words “virtual desktop infrastructure,” VDI involves making a desktop (with all the associated computing power) available virtually to a select group of users who can access it from anywhere. On the other hand, cloud storage involves hosting files on a virtual hard drive, which you can also access from anywhere.With this basic understanding of how VDI platforms work, let’s look at some basic differences between a file collaboration platform for VDI like FileCloud and a typical cloud storage platform like Dropbox. Storage and Synchronization: One fundamental similarity between VDI and cloud storage platforms is that they both allow you to store files virtually. Also, when these files are changed for any reason, the new version is synched to everyone that is connected. Accessibility: Whether you are using a VDI or a cloud storage platform, you can access your files from anywhere and with just about any device provided you have an internet connection. These are the most significant similarities between VDI and cloud storage. However, there are some others such as the ability to share files easily, back up your data and even retrieve accidentally deleted files. Availability of Desktop Tools: The main difference between VDI and cloud storage platforms is the availability of your desktop tools. If a cloud storage platform is essentially a virtual hard drive, then VDI can be described as a virtual computer. With VDI, you have access to the same desktop that you have at your work computer – including the apps and processing power. This means you can work anywhere with the same security and access that you get when working at the office. You can run the same apps as well as liaise with your colleagues and clients easily. Security: VDI is far more secure than cloud storage. While cloud storage platforms have security measures in place, the recent spate of hacking incidents proves that they are not 100 percent secure. However, with file collaboration platforms for VDI like FileCloud, protecting your data is the number one priority. FileCloud encrypts your data while in storage and in-transit. We also have other security measures in place including ransomware protection and two-factor authentication (2FA). Control: The fact is that with VDI, you have considerably more control over your data than with cloud storage – especially if you choose to self-host. With self-hosting, your data never leaves your premises. Also, your staff would control the operation of your data center, and everything associated with it – the VDI software creates a virtual desktop that your workers can access from anywhere. This should not downplay the advantages of using cloud storage or cloud-hosting. However, the fact is large companies who do not want to cede even the slightest control over their data would feel more comfortable using a self-hosted VDI platform. While VDI and cloud storage are very much different, they can sometimes overlap – to a certain extent. To understand this, we must differentiate between the two main ways of setting up a VDI platform. Self-Hosted Server VDI: The first method involves creating a data center with a physical computer (which acts as a server) where you install the VDI software (hypervisor). With this method, your data is hosted on the computer in your data center which all remain on your premises. Self-hosting gives you complete control over your data and infrastructure. However, it may be a bit expensive for some small businesses. With self-hosting, you’ll need to purchase a powerful computer to act as your server. Also, you’ll need a good IT team to maintain the server, and upgrade it whenever it is necessary. While running a data center may seem like an easy task, it can be capital intensive. For example, if there is a power interruption at your data center, your server would go down. This means all your workers won’t be able to access their virtual desktop until power is restored – this is the reason why most servers have backup power systems. Cloud-Hosted Server VDI: Another way to get your VDI platform up and running is to integrate it with cloud storage and computing infrastructure. This is usually called Desktop as a service (DaaS). The only difference between a self-hosted and cloud-hosted VDI platform is that with the latter, your storage and computing infrastructure are all cloud-based. This is more suited to some companies as it takes away the burden of running your own data center. 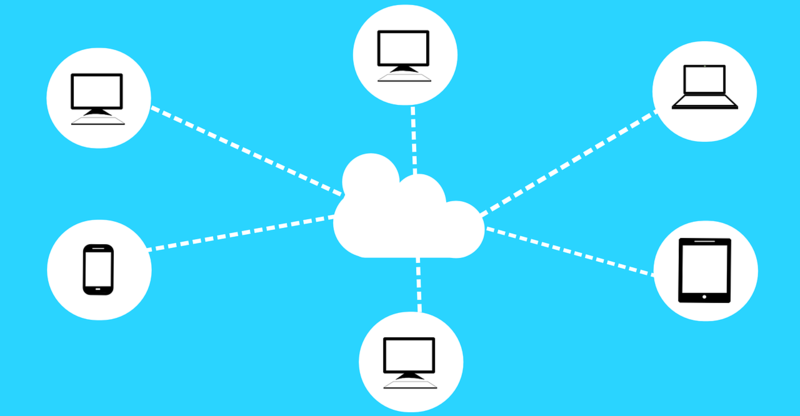 Cloud-hosted VDI platforms are a blend of cloud computing and VDI. Now, you know the difference between cloud storage and VDI. You also know what a cloud-hosted VDI platform is. If you want enterprise-level online file storage and sharing, VDI is your best bet. It comes with the added advantage of giving your workers a complete desktop with all the tools they need to do their work. The choice between self-hosting or cloud-hosting for your VDI platform depends on many variables. Generally, small companies may want to go for a cloud-hosted file sharing VDI platform as it takes away the cost of having an in-house data center and an IT team. On the other hand, some medium and large companies may want to go for a self-hosted VDI platform as it keeps everything in-house. FileCloud allows you to either self-host or run your VDI on our server. We also give you the option of running our VDI software on a third-party cloud infrastructure. Enterprises are moving their data and applications to the cloud with infrastructure-as-a-service (IaaS) and Software-as-a-Service (SaaS) usage rising steadily over the past couple of years. According to research firm IDC, more than half of organizations currently utilize some form of hybrid cloud configuration. IDC predicts that the cloud software market will grow to $151.6 billion by 2020 with five year CAGR of 18.6 percent – surpassing the growth of conventional software. This trend is largely being driven by the rising number of services and applications being delivered from the cloud. Cloud solutions are sometimes so fluid that end-users and IT teams assume it ‘simply works’, leaving crucial issues like data security entirely up to the provider. Though cloud-based applications may be ‘safer’, they are not unassailable. You should be completely responsible for your SaaS-based data, including every aspect of its security. Backing up your SaaS data provides the continued benefits of the cloud while retaining a secure copy that is shut off from the SaaS environment. Regrettably, for IT decision-makers, the cloud-to-cloud market is somewhat immature and fragmented. Given the stark contrast between cloud computing environments, backup solutions similarly vary quite widely in capabilities. However, there are a couple of available options in the market and choosing the right one is an uphill task. Here are a couple of things to consider. Not all backup solutions are created equal. 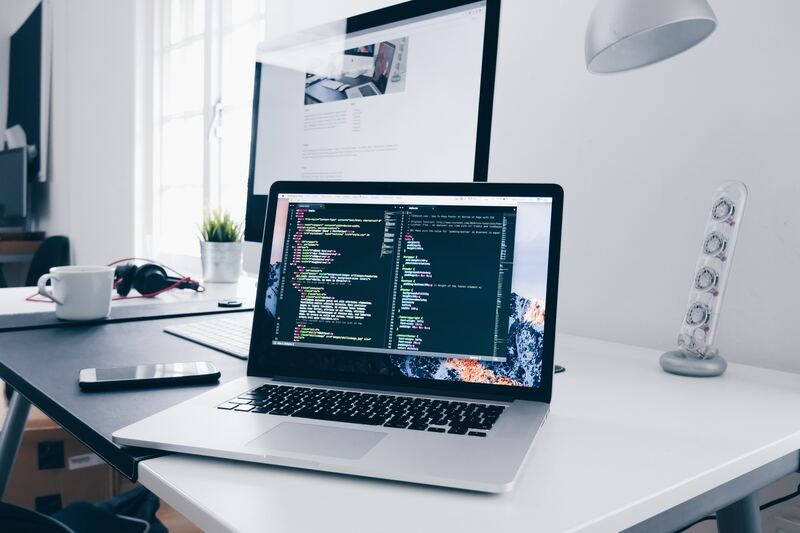 Since SaaS applications are offered via API or a website, the available backup procedures tend to vary, this creates a significant challenge for Backup as a Service (BaaS) providers. The ideal cloud-to-cloud backup solution should include a simplified and automated way to securely back-up your system data (including audit logs and metadata) from one cloud to another. It is also important to review the vendor’s disaster recovery capabilities before-hand. Ensure the solution offers granular recovery capabilities and robust search and browse features that can facilitate faster, self-service recovery/restore – as opposed to waiting for IT to respond, end-users can efficiently perform the recovery on their own. While most SaaS backup solutions allow you to back-up your data at the click, not all of the offer it as an automated service. Ensure this option is available for your data security and ease so that your business operations and pace of growth remain unaffected. Some services will only offer preset options such as weekly, monthly or daily, others may enable you to custom set the intervals. Your business requirements should match the vendor’s available options. The cloud-to-cloud backup solution should also be capable of sending out notifications or alerts for failed backups. Though automation frees up your time and guarantees round the clock protection, the ability to force a manual backup will prove to be convenient when making extensive changes. Data security remains one of the most critical aspects of a modern enterprise. So understanding the safeguards built into storing your backups is crucial. Go for a SaaS backup provider that provides robust encryption coupled with strict privacy policies to protect your sensitive data. The cloud-to-cloud backup solution should also be fully compliant with any regulations that may require you to meet specific standards in securing your data. Regulatory requirements can become an issue when cross-border data flows are involved. An organization can be held responsible for a data breach even if they aren’t aware wherein, the cloud their data is stored. Regulatory requirement that governs the timing of a permanent deletion of backed up data should also be put into consideration. Ensure the vendor can support your organization’s specific data-retention requirements. A cloud-to-cloud backup vendor should have tools in place to handle the potential unavailability of the source SaaS application itself. For example, if an organization opted to cancel its G Suite subscription after using it for several years. Retaining that invaluable G Suite data will be a prime concern, so a good BaaS vendor should offer a path to data recovery, even if the source cloud subscription has been cancelled. Be sure to inquire about independent access when accessing vendors. Regardless of the features or services, the cost will always be a constraining factor when selecting a BaaS provider. Remember the best solution for you is the one that fits your budget. On the other hand, expensive doesn’t always translate to quality, especially if you are paying for services that you aren’t fully utilizing. Analyze your data storage requirements for both now and in the future so that you can select a cost-effective backup solution. Each cloud-to-cloud backup provider has their own pricing model that is typically based on a per-user, per month/year, per-application basis. Don’t forget to make inquiries regarding hidden charges tied to things like software updates, customer support, or bandwidth, if any. Having a backup of your SaaS data provides peace of mind and guarantees business continuity in the event of data loss. There are multiple cloud-to-cloud backup providers out there, it is therefore important spend time analyzing each of their pricing models and feature sets, to ensure they are capable of meeting all your backup needs. Mobility has become a staple in today’s workplace. However, it presents a flurry of challenges for IT. Spreading data across cloud services, devices and varied network connections significantly complicate efforts to govern and protect enterprise data. Organizations have to protect any data stored on mobile devices or in the cloud while also addressing mounting legal and compliance requirements. Data backup is one of the foremost services offered by cloud vendors, and it remains the most prolific way to utilize cloud storage. The purpose of online backup is simple and direct: to safeguard information – whether personal or business – from the looming risk of loss associated with hacking, user error, or any other kind of disaster. As Software-as-a-Service (SaaS) solutions approach mainstream use, organizations have to pay closer attention to data protection. Data is the lifeblood of the modern enterprise. A whopping 60 percent of organizations that lose critical data completely shut down within six months of the loss. Data loss is typically a major concern for SaaS customers since the backup policies of SaaS vendors can’t guarantee the complete and speedy restoration of lost data. Data can be jeopardized by sync issues, hacking, user error, or malicious insiders. Data loss and the concerns surrounding it can easily be quelled by coupling SaaS applications with a complete backup and recovery solution. Moving enterprise data and applications to the cloud poses potential risks. It involves handing over control of a large part of an organization’s capabilities to store and protect data to an external entity. While SaaS applications typically have a form of built-in data backup, most organizations don’t realize that some of the disaster recovery and high availability capabilities touted by SaaS vendors potentially fall short in preventing data loss. In fact, SaaS vendors usually state that clients are responsible for protecting their own data in their SLAs. Adopting an additional backup tool offers greater control and flexibility to protect your data against threats such as malicious attacks, data corruption or user errors. For enterprises that rely on the cloud, the question isn’t whether or not cloud services will fail, but how the enterprise will cope in the event it does. In a small-scale scenario, users can copy files between, for example, G Suite and Office 365 to a local volume, or an external drive. But this process is manual, unreliable and will struggle to scale in the long run. For larger applications and files, this is seldom practical. 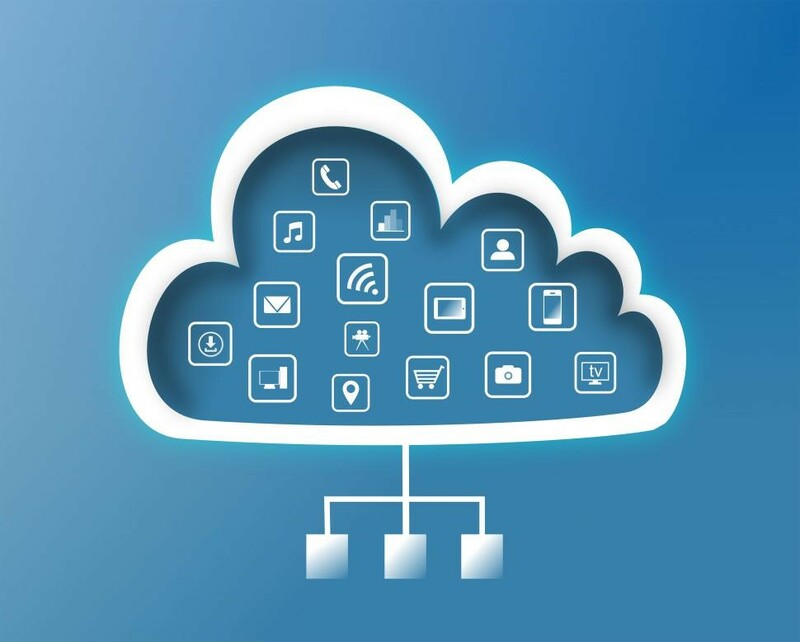 Cloud solutions are scalable, so backup data sets can grow with ease in the storage. While the initial upfront cost of implementing a cloud to cloud back up solution may be high, its yearly or monthly payment plans may appeal to most smaller operations. Capital expenditures for additional hardware are not needed and once it’s set up, data is automatically saved as it streams in. Eliminating the need to proactively track, label and save information. SaaS applications are not unsusceptible to the threat of ransomware. It is assumed that SaaS vendors have more complex information security systems but ransomware is proving to be a vicious animal. Most strains of ransomware typically target productivity apps like Excel and Word regardless of where they are hosted, be it in the cloud or locally. Ransomware can easily spread to G suite via the G Drive sync tool or to Office 365 through ActiveSync and OneDrive. Cloud-to-cloud backup offers an indispensable layer of protection. It ensures that you are able to recover data in the event of a ransomware attack, minimizing downtime and business disruption. Most SaaS application providers perform a stellar job of securing your data from contretemps that are within their control, however, if you get hacked or accidentally delete data, their ability to restore your data so you can resume normal business operations is limited. Promptly getting back up and running could make all the difference when data goes missing or something goes wrong for whatever reason. A SaaS backup provides multiple levels of redundancy, ensuring that if data is deleted or lost (typically via deletion or user error), backups are easily located. The more levels of data you have stored the better, since each level guarantees that your data is protected against loss, allowing you to quickly access the backed-up version of your data if it ever gets lost. Organizations are adopting SaaS applications and cloud-based infrastructure in droves, though few are adequately equipped to secure and restore the data within their SaaS infrastructure. SaaS vendors are usually quick to mention that their data has been safely backed up across several data centers, protecting customer data from the recurrent downtime culprits. But that is where the protection ends. In situations where data is lost due to accidental deletion, user error, data corruption, malicious attack or third party application errors, organizations are left in the wind to fend for their own and recover data they had entrusted to a cloud service provider. These issues can be mitigated by adopting a cloud-to-cloud backup and recovery solution offered by a third party. 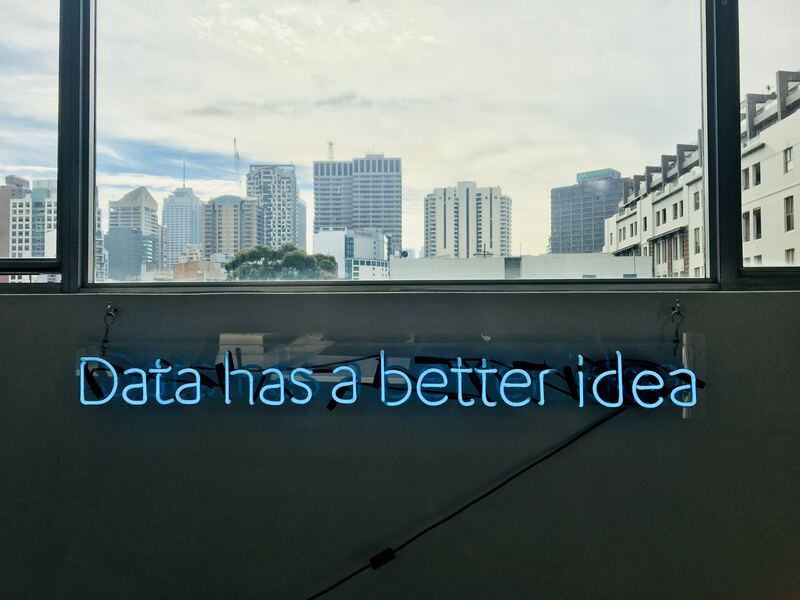 In todays data driven enterprise, the words ‘data loss’ sends shivers down the spine of decision makers, and hearing them typically kindles images of client outrage, work stoppages and PR nightmares. Software-as-a-Service (SaaS) cloud solutions have become popular elements of a solid business technology strategy. SaaS adoption has sky rocketed across several industry verticals. This soaring growth in SaaS usage generates a corresponding increase in the movement of data from on-premises to the cloud. Your clients count on you to protect their data as you deliver trustworthy services; however, organizations aren’t investing enough in protecting SaaS-based data. Though most IT teams design a secure on premise infrastructure, it is common for some to presume that the role of backing up their SaaS application data falls entirely on the cloud provider. While most vendors do their best to offer security via backups, there are still additional things that can be done to improve the security of data backups. On top of that, the service providers may not share the same commitment to the backups since they are not invested in the welfare of your business. Any forward thinking business understands that you either back up your SaaS-based data or risk loosing employees, partners, and customers. It has often been said that the most ideal way to make sure your data is secured is to have three copies of the data – the original, an on-site backup and an off-site backup. Given the proliferation of SaaS, it’s safe to say that on-premises data has been moved to the cloud, it, therefore, makes sense to have a backup of your cloud data. Backups are the final line of defense when recovering from the ruinous loss of invaluable data. Cloud-to-cloud backup allows you to leverage the benefits of the cloud while maintaining a copy of your SaaS data in a disparate, secure cloud structure that guarantees the integrity of data in the event something happens to the original cloud server. Most cloud vendors have exceptional standards for security and redundancy. But it’s always a good idea to have a copy of your data on another cloud structure to ensure security and availability. Enterprises have to be ready to answer to strict compliance standards related to data management and in the cloud. A trusted SaaS backup provider adheres to strict security standards that you are unlikely to be capable of recreating or maintaining on your own. Data loss doesn’t have to be as a result of an inauspicious situation, at times simple human errors can lead to it. This can be particularly problematic a user accidentally deletes the SaaS application data. Accidental deletion can also be in the form of accidentally overwriting correct data with the wrong information – something most SaaS vendors are incapable of reversing in the platforms. This can lead to the loss in productivity in two ways: the employee whose ability to continue working is crippled by the deletion and the resource the IT team have to use to recover the lost data. The best way to avoid the loss in productivity due to SaaS data loss is to ensure that employees are properly trained on the tools they use, and give them a backup solution that includes end-user enable restore. When your employees are empowered to solve their own data loss problems, IT admins don’t have to do the restore and recovery work. Imagine a situation where you try recover data from your account only to realize that the data wasn’t correctly backed up or it was corrupted. All data backups should therefore be constantly monitored by admins to make sure that it is in the best possible state. In most cases, when problems arise, they can be traced back to the backup process itself. Certain file formats and zero byte files may fail to be backed up and typically indicates data corruption. SaaS backups should constantly be monitored by admins via email notifications, status reposts, and dashboards included with your cloud-to-cloud backup solution. Paying close attention to these reports can help you gauge the health of your organization’s data and address issues that would have otherwise gone unnoticed. Metadata refers to the set of data that describes the information about other data. Traditional metadata can be descriptive or structural. For SaaS applications that are collaboration and messaging tools, metadata plays a crucial role in facilitating control and collaboration, as it contains information about ownership, tags, labels and sharing settings. Unfortunately, not every backup solution – including the options provided by cloud providers, include metadata. This can frustrate and confuse users when they discover they can’t recover data back into their SaaS application exactly like it initially was, with settings, customizations and associated data attached. As a result, find a solution that allows for metadata customizations and backup. 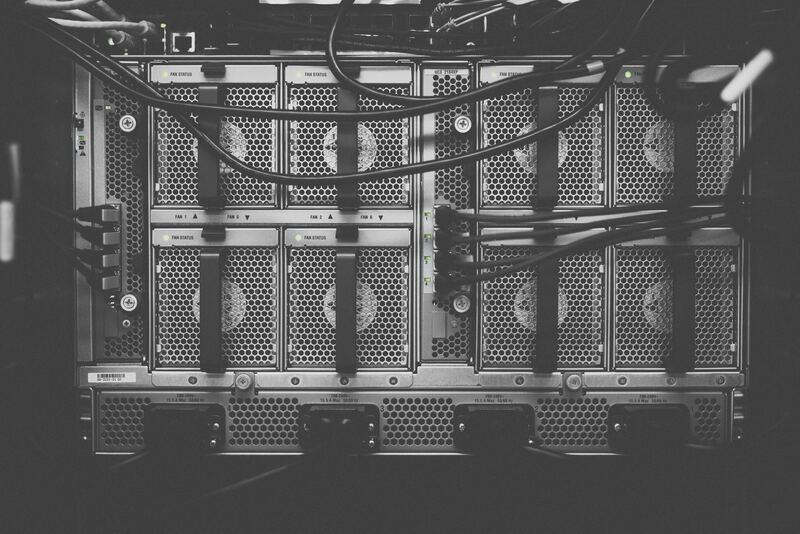 Your SaaS backup strategy should be tested in complex environments, where problems related to the data recovery infrastructure can be highlighted. These are things you ideally don’t want to discover when disaster strikes and there is a lot of pressure to restore the service. While more extensive testing may carry some level of risk and impact, it provides more reassuring results. The testing should be done as part of a regular cycle. This can easily be accomplished via automation. Now, the big question is, how do you leverage VDI to optimize your business without compromising on security, accessibility, control, and cost? The answer is FileCloud. The fact is that no other File Collaboration platform for VDI offers as much versatility as FileCloud. We give you full control over our software to manage your data. The result is unprecedented adaptability and next-level solutions. Flexibility: At FileCloud, we understand that one size does not fit all. For example, the file sharing requirements for the VDI setup that a huge finance firm may require is bound to be very different from what will suit a small law firm. While the former may opt for hosting FileCloud on-premises to create an in-house cloud sharing platform, the latter may choose to allow FileCloud host their data or run FileCloud on third-party cloud platforms like Amazon WorkStation to cut cost. This is why we allow you to select the right file sharing with your VDI model that will suit your business. From choosing whether to self-host to picking the pricing structure that best suits you, everything is in your hands. We provide full encryption of files – both during transit and while in storage as well as antivirus and ransomware protection. In recent years, some of the top enterprise cloud data storage platforms have been compromised by hackers. However, the high level of security on our file sharing platform for VDI ensures that you will never be a victim of data breach. FileCloud the #1 file collaboration platform for VDI does not only limit IT admin overhead cost but can also boost productivity. Imagine there is a severe snowstorm and most of your workers can’t make it to the office. Nonetheless, you have a deadline that can’t be extended. With FileCloud, productivity is guaranteed because bad weather or emergency trips will not prevent your workers from performing their duties. Your workers have to pick up any device, access your work desktop, and pick up where they left off. Full Control: FileCloud gives you complete control over your data. You can choose to integrate with your existing servers. You also get to choose which users have admin privileges as well as the ability to manage connected devices, access analytics information and full audit logs of the files in your network. 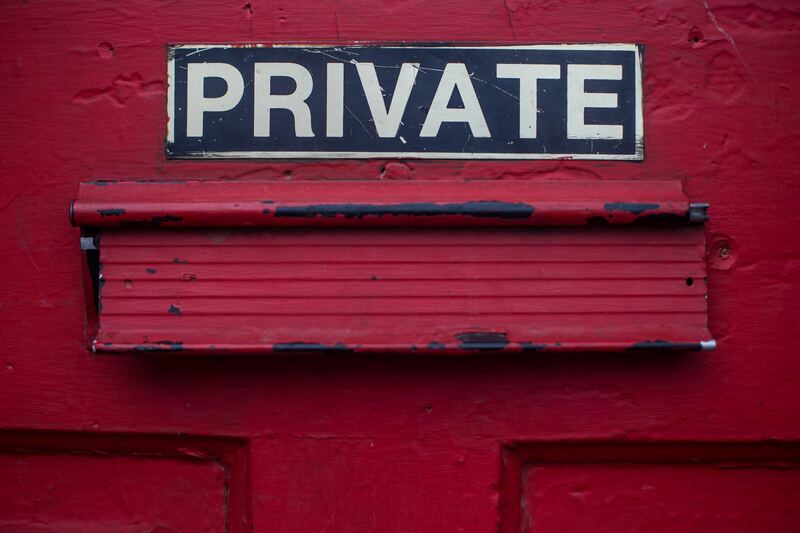 This means you never have to worry about employees getting access to restricted data. You can also keep track of the activities of your employees by checking usage trends to ensure that everyone is performing their role in the organization. Customization: The customization options that FileCloud offers are unmatched. We offer multi-language support. What’s more, you can customize everything about the FileCloud platform including the domain name, login pages, messages, and more. This means you can enjoy the best VDI service, file sharing solution in the world and at the same time boost your brand visibility. That’s not all the customization options that we offer. If you are on a slow network, you can adjust the sync rate to match your bandwidth. If an organization is akin to the body of a living being, then FileCloud is like the brain. With our file platform for VDI, you can coordinate the functions in different aspects of your organization, ensuring that each worker has the tools needed to do his/her job. FileCloud is easily the number one File Collaboration VDI platform in the world. We do not only give you better prices, but also a lot of features that you will not find on any other File Collaboration platform. Since its inception, cloud computing has managed to transform the business landscape in unforeseen ways. While the private sector has been capitalizing on the multiple benefits of cloud computing for a while now; government organizations have also aggressively started to embrace the cloud. As it stands, the IT environment of most government organizations is typified by poor asset utilization, duplicative processes, a fragmented demand for resources, poorly managed environments, and prolonged delays in getting things done. The end result is an in-efficacious system that has a negative impact on the organization’s ability to serve the American public. The innovation, agility and cost benefits of a private cloud computing model can significantly enhance government service delivery. A move to the cloud for government organizations directly translates to public value, by improving operational efficiency and the response time to constituent needs. In February 2011, the first Federal CIO, Vivek Kundra, announced cloud first. The policy was presented as a crucial aspect of government reform efforts to achieve operational efficiencies by cutting the waste and help government agencies deliver constituent services in a more streamlined and faster way. Up to 2014, the adoption rate was slow. A 2014 report by the U.S Government Accountability Office showed that only 2% of IT spending went towards cloud computing that year. However, the tide has shifted in recent years. Agencies across the federal government have espoused cloud computing solutions and architectures to facilitate services to constituents and reduce the reliance on the large-scale, traditional IT infrastructure investments. Currently, AWS reports that GovCloud, has grown 221% year-over-year since it was launched in 2011. Microsoft also claims that Microsoft Cloud for Government, which includes office 365 government, Dynamics CRM, and Azure Government. Has attracted over 5.2 million users. Despite its palpable success, Cloud First has had its share of critics, including those censorious of the trouble-prone launch of HealthCare.gov. Critics have blamed the perceived slow adoption on the lack of federal technical experience in cloud deployments. Below are some of the compelling reasons why government agencies should adopt a private cloud computing model. By consolidating server footprints via virtualization and cloud efforts, govt agencies significantly reduce the cost of IT ownership. Agencies that operate in house IT gear have to deal with data center security on top of hardware, software and network maintenance. These are all resource intensive workloads that cloud vendors handle on behalf of their clients. The minute an agency offloads all of it, it free itself up to focus on the particular capabilities and features it has to offer. Private cloud computing solutions are typically bundled with asset management, threat and fraud prevention and detection, and monitoring programs. Adopting a private cloud model enables government agencies to become agile and responsive towards changing business conditions. The IDC reports that approximately 2.5 exabytes of data is produced on a daily basis. Government agencies have a ton of data and having a human look at all of if is virtually impossible. The old model of data distribution greatly diminishes that datas value to end-users, and ultimately to the taxpayer. A private cloud computing model is the answer to big data analysis. Tools that utilize artificial intelligence, machine learning and natural language processing can be used to quickly and accurately examine terabytes of data for anomalies and patterns; thus helping federal officials to make informed decisions. Additionally, once data has been made available via the cloud, its is readily accessible, meaning resource requests that previously took months to processes can be handled in a short time. When it comes to the cloud, ownership of data assets leads to more questions. Erosion of information asset ownership is undoubtedly a potential concern when resources are moved to any external system –public cloud included. There is an inherent difference between being responsible for data as a custodian and having complete ownership of it. Despite the fact that legal data ownership stays with the originating data owner, a potential area of concern with a public cloud deployment is that the cloud vendor may acquire both roles. The EU has been at the forefront to clear up the confusion and on the 25th of May 2018 will introduce a directive that establishes new rules to aid its citizens retain full control over personal data. Another area of concern includes the complex legal, technical and governance issues that surround hosting government data in varying jurisdictions. Governments are known to like concrete boarders; but the cloud is global, it transcends physical spaces and boarders. Since the services exist globally, and users can interact and share data remotely; what states or municipalities are responsible for the data? Whose laws apply or don’t apply to any given exchange? US government agencies have to adopt cloud strategies aimed at retaining sovereignty over government data. For any government agency seeking flexible and scalable data center solutions, a private cloud deployment can tie a range of integrated and end-to-end solutions that leverage cloud capabilities together. With a private cloud, the complexity of legal and government regulations are taken out of the equation. The data is maintained by the govt agency employees and is made available via internally-managed technology platforms or SaaS solutions like FileCloud. The ownership or jurisdiction of the data is no longer in question. Security is typically the top concern for federal IT managers when it comes to the migration of applications and data into the cloud. Governments understand that information is power, data is a crucial asset. Federal agencies represent a huge chunk of the globes largest data repositories, ranging from tax, employment, weather, agriculture and surveillance data among others. A recent study by MeriTalk revealed that only one in five of the Federal IT professionals surveyed believe that the security offered by cloud providers is sufficient for federal data. However, the same study also concluded that 64 percent of federal IT managers are more likely to place their cloud-based applications in a private cloud. Why private cloud? Control. A private cloud deployment meets the required, strict security needs with more resource control and data isolation. Government organizations have to send and receive sensitive information while ensuring it’s only accessible to authorized users. Additionally, that have to maintain control of each user’s read and write rights to said data. Public cloud solutions simply don’t fit the bill for most govt agencies because the deployed applications and data have to remain completely under agency control. Private cloud solutions enable govt agencies to leverage their existing security infrastructure, while staying in control of their data. Since the deployment functions within your existing framework, the need to reinvent govt processes or security policies is eliminated. Fed RAMP (Federal Risk and Authorization Management Program) standardizes security services and streamlines assessments so that any cloud vendor being considered by federal agencies is only evaluated once at a federal level. Safeguarding the security and integrity of data falls upon individual government organizations. A private cloud model gives organizations better performance and security control over the physical infrastructure that underlies its virtual servers. Government agencies require a digital terrain through which to comfortably and confidently collaborate across, irrespective of agency or department. For example, different agencies may need to share compliance data, regulatory documents, case information or disaster response plans. For optimal collaboration efficacy, these resources have to be accessible to the workers within their respective organizations, to outside contractors, and the general public, when needed. Government agencies can leverage the security infrastructures and on-premises directories of a private cloud. Ensuring that sensitive data remains within the control of the organization, and only authorized persons have access to it. A private gov-cloud allows government organizations to collaborate both internally and across extended ecosystems in a compliant, secure and audit-able manner. Most local, state and federal government agencies offer a variety of citizen services. Cloud computing helps in the delivery of those services and subsequently improves the lives of citizens on all those level. For example, enabling constituents to monitor water and energy consumption encourages them to be more vigilant about their usage. Quick and transparent access to service requests such as loans and application improves awareness and inclusion. 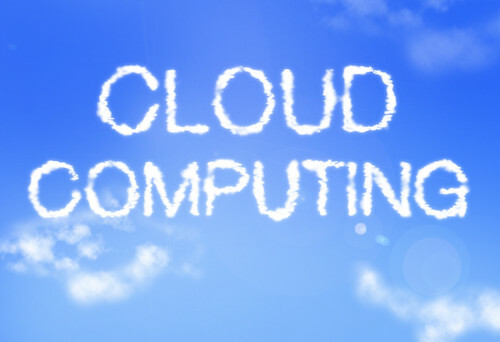 A private cloud computing model is an ideal way of empowering and informing citizens. Cloud computing delineates an amazing opportunity to drastically revolutionize how government organizations manage, processes and share information. Although addressing all the challenges associated with cloud adoption can seem ominous, especially if a government organization lacks the expertise in cloud migration and deployment. Nevertheless, its clear that government agencies wish to perpetuate high standards of privacy, security and cost management, in their pursuit to transform operations into a flexible, dynamic environment. The most ideal solution for them is a private cloud.